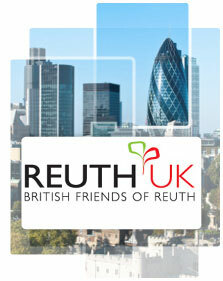 The British Friends of Reuth have been active for over seven decades in assisting Reuth’s work in Israel. Today the new generation, under the title of Reuth UK, enjoys the patronage of the UK's Chief Rabbi Lord Jonathan Sacks. Our dedicated and dynamic Friends in England have adopted the unique Quality of Life program at Reuth Medical & Rehabilitation Center, which aims to improve the patients' emotional wellbeing, thereby promoting the process of rehabilitation. The program includes a range of activities and special therapies: music, art, drama and animal therapies, therapeutic gardening and therapeutic recreation, as well as musical performances at the hospital, outings to the community and trips all over Israel.